The beautiful 1:9 scale 1937 model of Bourton-on-the-Water in the grounds of the Old New Inn (good sandwiches, by the way) has been listed by English Heritage this week as worthy of Grade II protected status. This is excellent news: the model, an accurate replica of the Cotswolds town in which it’s based, is built in the local stone and with exquisite craftsmanship. 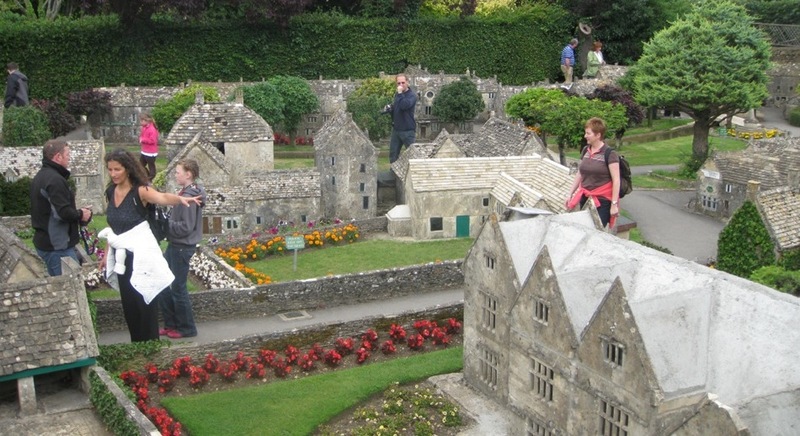 It even includes that staple of model villages: a model village within a model village. Within a model village, obviously. An early example of a miniature park, it is predated by “public” ones of significance only by Bekonscot, in Beaconsfield, Bucks; a model village I’ve long had an association with. Model villages, by and large, have been ignored by architectural specialists as “toy towns”. But the awarding of protection of Bourton ratifies their significance: this stunning example of craftsmanship is not just a miniaturised approximation of reality but in itself a thing of wonder, the work of artistry and skill. The last few years have seen significant investment back into the village, and stonework repairs have started to bring the model back to its former glory. The Guardian wrote about the listing of Bourton-on-the-Water’s model village, and you can read the full English Heritage Listing notes here. Splendid stuff, and congratulations to all at the Old New Inn.